Our Acura MDX SH-AWD in White Diamond Pearl offers even more refinement and style paired with abundant power and class! Powered by 3.5 Liter V6 that offers 290hp while paired with a smooth-shifting 6 Speed Automatic transmission. 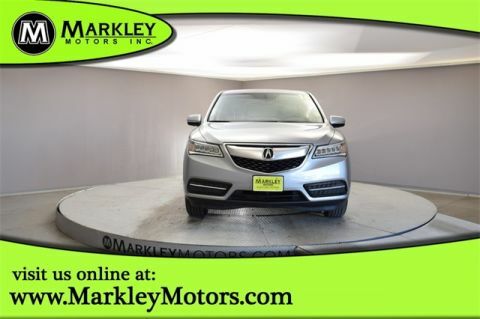 You'll enjoy a composed ride with responsive handling and the confidence of Super Handling All Wheel Drive in this Acura plus rewards you with near 28mpg! 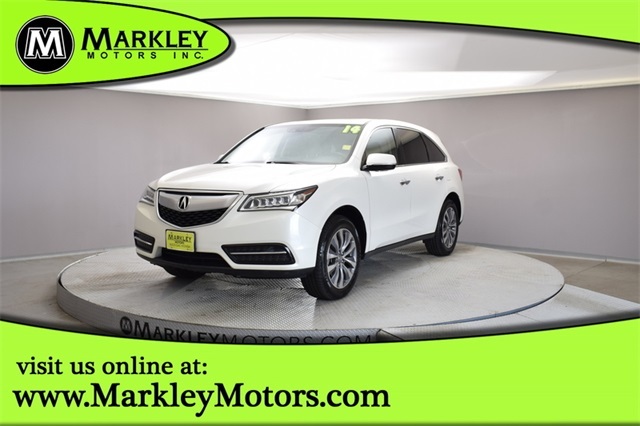 Take one look at our photos of this Acura MDX with the Technology Package and you'll see this is a stunning vehicle with sporty contours accented by prominent alloy wheels, automatic LED headlamps, a power liftgate, and a sunroof. 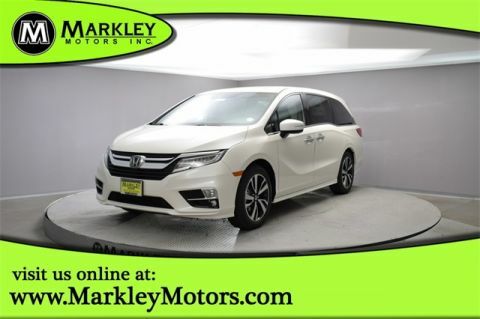 Open the door to find an impeccable 3.5L cabin featuring heated leather seats, solar-sensing automatic climate control, two console displays, and a multi-angle rearview camera. You'll stay safely connected via Bluetooth, AcuraLink, navigation, and a premium surround-sound audio system. This is truly a first-class ride! Our Acura MDX received top safety scores thanks in part to advanced safety systems such as lane departure warning, blind spot warning, and forward collision warning systems that have been carefully designed to keep you and your precious cargo out of harm's way. Highly desirable, reliable, and filled with top-shelf amenities, this is the family-friendly option you've been looking for! Print this page and call us Now... We Know You Will Enjoy Your Test Drive Towards Ownership! We Value You As A Customer And Look Forward To Showing You What The MARKLEY DIFFERENCE Is All About. We've Been In Business For 82 Years For A Reason! Call Us Now At MARKLEY MOTORS At 1-970-226-2213. USED VEHICLES MAY BE SUBJECT TO UNREPAIRED MANUFACTURER RECALLS. PLEASE CONTACT THE MANUFACTURER OR DEALER FOR THAT LINE MAKE FOR RECALL ASSISTANCE/QUESTIONS OR CHECK THE NATIONAL HIGHWAY TRAFFIC SAFETY ADMINISTRATION WEBSITE FOR CURRENT RECALL INFORMAITON BEFORE PURCHASING.